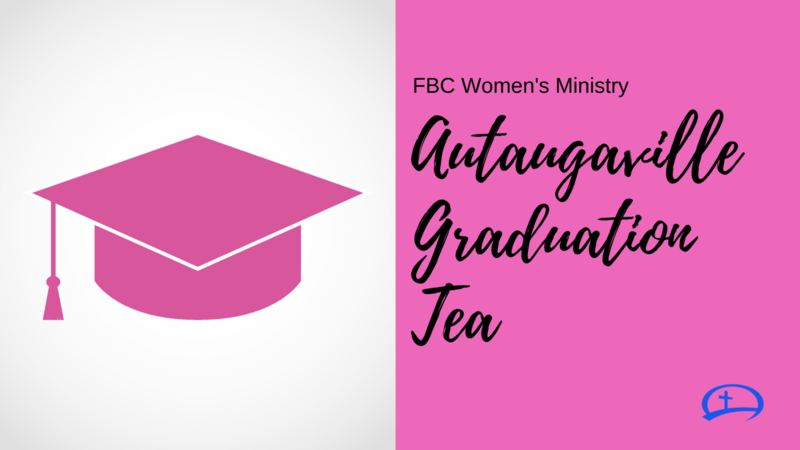 You can be part of impacting the lives of the graduating senior girls at Autaugaville High School! This is an annual serve opportunity through FBC's Women's Ministry, and always blesses everyone involved. You can serve at the tea or donate specific lunch food items for the tea. Let Melissa Bowen know how you would like to serve! If you would rather call Melissa, feel free to do so! Contact her at 334-235-0214.